A recent report has highlighted the serious extent of illegal firewood harvesting operations on Tasmania’s east coast. 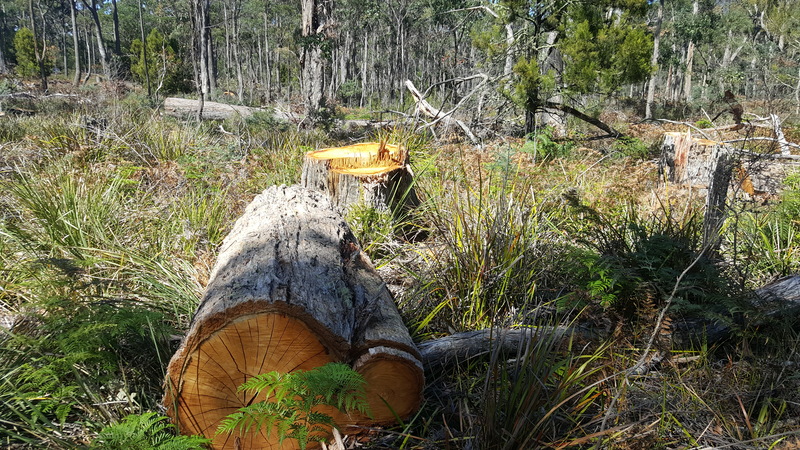 Timber stolen from one study site alone had an estimated commercial value of over $70,000, with at least half of the trees removed classified as potential nesting habitat for the critically endangered Swift Parrot. The report, which was prepared by an independent Forest Practices Officer for NRM South and co-funded by NRM South and Tasmania’s Parks and Wildlife Service, has provided a disturbing insight into the extent of illegal firewood harvesting happening at key sites across the state – often in threatened habitat areas that are critical for the survival of some of Tasmania’s most endangered species. Results from a study carried out at a 13 hectare site near Buckland has estimated that 480 tonnes of firewood has recently been harvested in this area. The commercial value of this timber has been calculated at $72,000. The area containing the study site is covered by black peppermint (Eucalyptus amygdalina) forest on sandstone – which is classified as a threatened vegetation community and important habitat for Swift Parrots, eastern quoll and Tasmanian devils. An assessment of trees removed shows a significant loss of mature trees containing hollows, that are potential Swift Parrot nesting habitat. There is also evidence that the people involved in these activities are putting both themselves and other people at risk by using unsafe practices to fell trees. The report highlights that those involved are lucky not to have sustained serious injuries – or worse. Sadly, the site has also been used as a dumping ground by woodhookers – and possibly others. Researchers have been confronted by an alarming volume of household refuse dumped across the site. 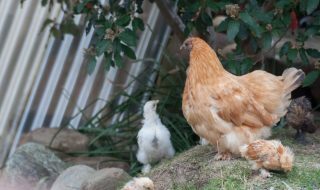 While the study has shown that there has been significant harvesting activity in the area over the last few years, this is just one of many locations statewide that have are being impacted by illegal harvesting. NRM South have developed some useful resources on our website regarding the impacts of firewood harvesting and how to minimise these impacts when buying or collecting wood including a webpage and a pamphlet. To view the final report, click here.